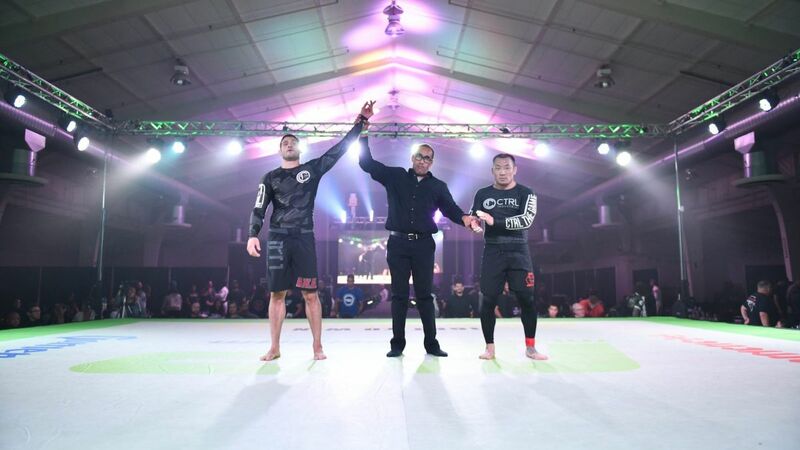 Grappling and MMA veteran Ron Keslar defeated Nick Greene this evening in a 10-minute no-gi match at Fight To Win Pro 76. Keslar, who is known for his wrestling-heavy, top-game oriented style was right where he wanted to be as Greene pulled guard to start the match. The two grapplers showed mutual respect for each other’s abilities in the opening minutes, but by the halfway mark Keslar took a slight lead with multiple Estima lock attempts. One attempt lead to a near pass but Greene was able to regain guard and eventually work his own submission attempt via omoplata. Stuck in the shoulder lock, Keslar responded with a toehold. Greene then slapped on a vicious toehold of his own, forcing Keslar’s foot to his hip, as the two tussled with dueling footlocks for the remainder of the bout. The ref’s awarded the split decision to Keslar after the 10-minute round was over.